The core of the pledge was Mr. Obama’s belief that government should be three things: transparent, participatory, and collaborative. This “unprecedented level of openness” would change the way business was done in Washington, so went the saying. But what did those things mean? And what would such a government look like? How would it serve the people better than the old industrial-age model? 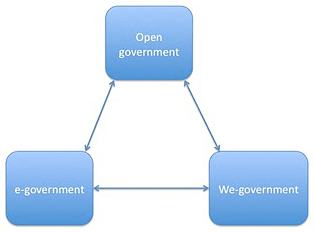 In 2010 Daniel Lathrop and O’Reilly Publications gathered together a bunch of essays written by lots of smart people from different fields, to discuss those questions and raise others about what “open government” would mean in the future. One of the contributors was Aaron Swartz. After Swartz’s suicide, the contributors alll banded together to release this book for free to the public, in honor of the battle that took his life–the battle for open knowledge and knowledgeable openness, citizen activism and active citizens. We still believe in these things. And we are happy to spread the word.